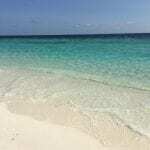 Anantara Kihavah is paradise on earth! 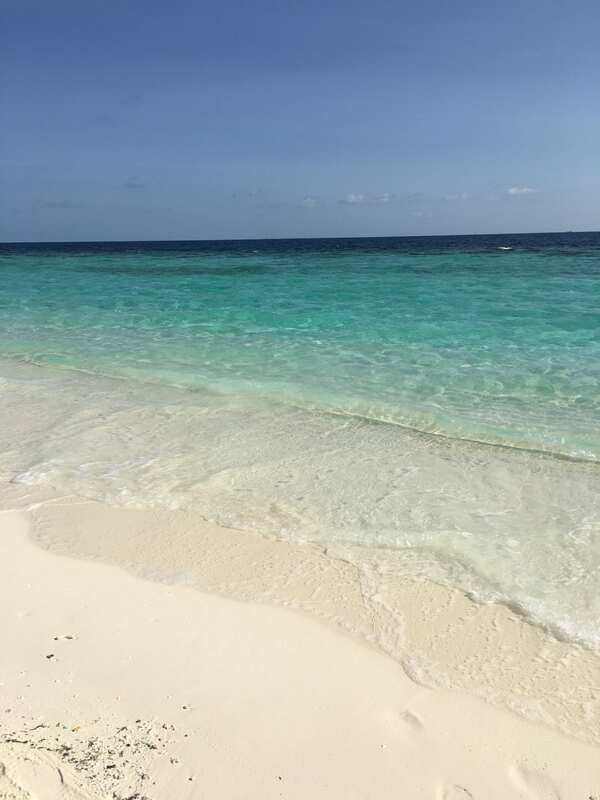 We arrived to the island by seaplane and the aerial views were out of this world, I have never seen sand so white and water so turquoise and crystal clear. 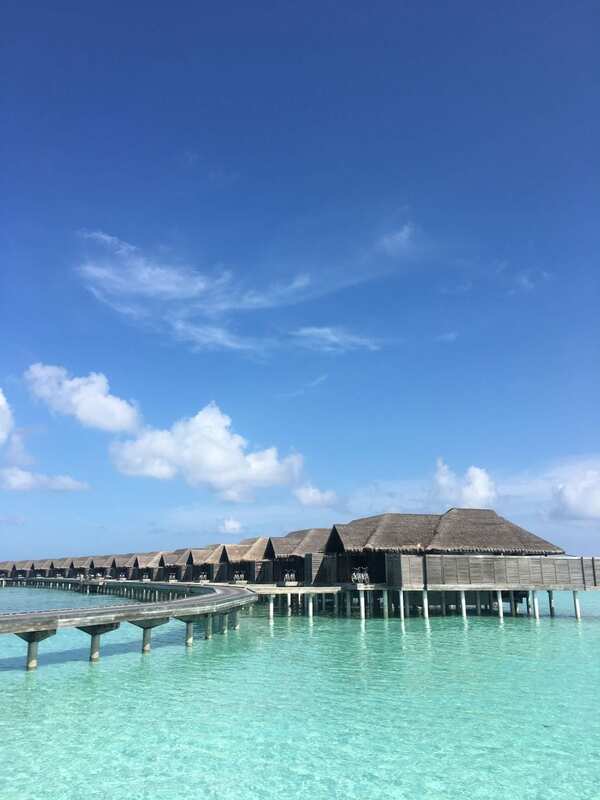 Take off is smooth and you start to quickly see the colours change and coral appear along with islands and the outline of overwater villas. 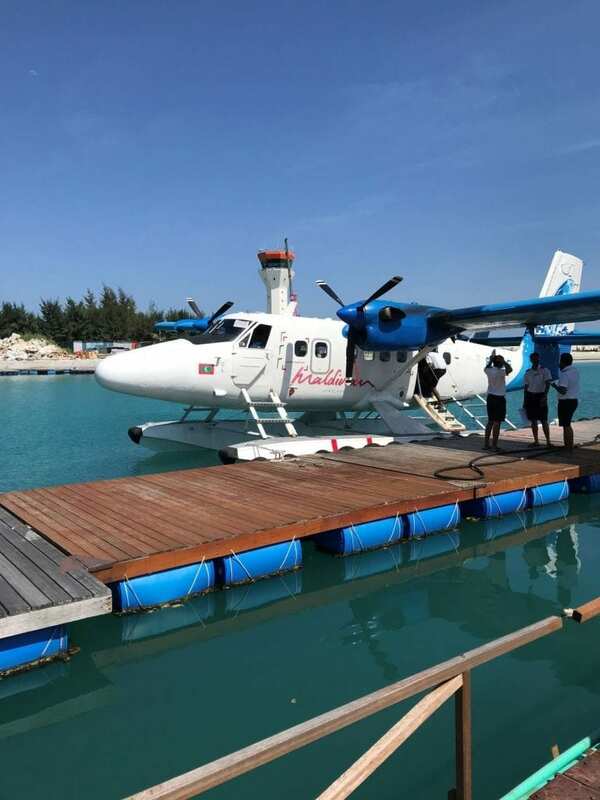 It is an amazing way to see the Maldives from the air and the beautiful colour the Atolls create. We were greeted by our Villa host Shan as soon as our seaplane touched down on the island and after a short tour of our new home we were taken to our incredible villa. 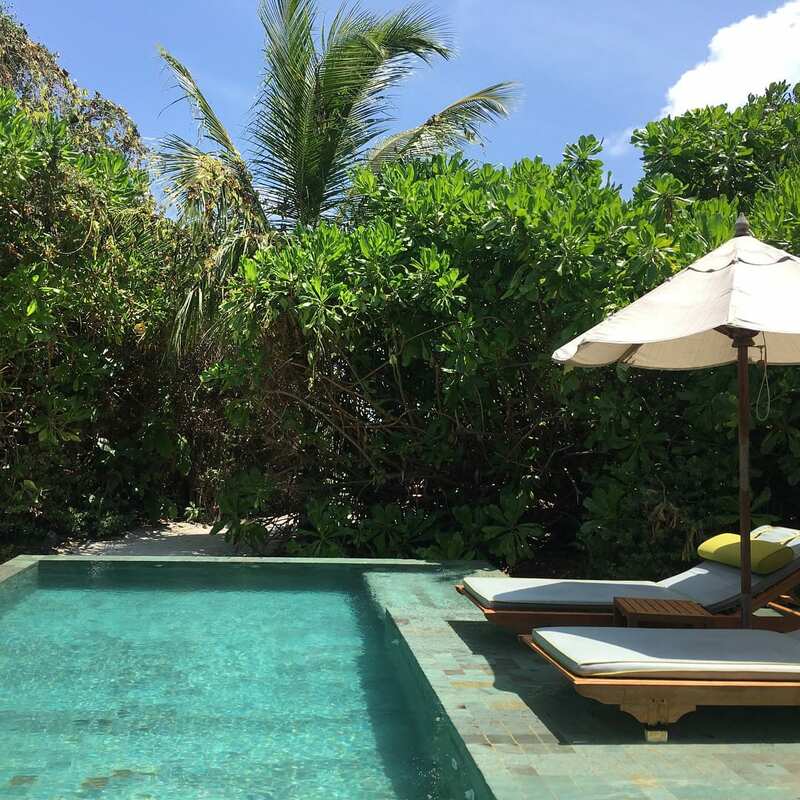 We stayed in the beach pool villa with our own private plunge pool which was surrounded by lush greenery to create ultimate privacy and a small path led us straight to the beach with our very own deck chairs. The Villas were extremely spacious, with a his and hers dressing rooms and an outdoor bathroom with a soaking tub and not one but 2 showers. The island was so beautiful that I didn’t know what to do first! 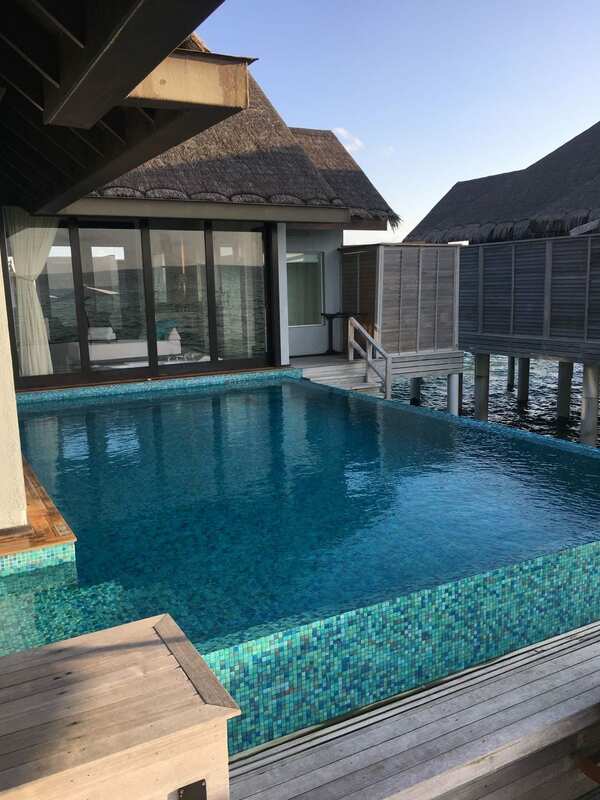 Should I have a quick dip in our infinity pool or just head straight into that beautiful ocean. I could not wait to get out there and explore our new home. 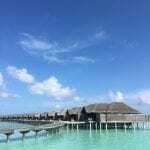 When you finally venture out of your villa or have had enough snorkeling for the day you can walk along the pier to SEA.FIRE.SALT.SKY which are a four in one dining concept and are all over the water and even under the sea! The restaurants are delicious each with their own theme. You can end the night with a cocktail under the stars and if you are lucky watch the reef sharks cruise in for a late night snack. I would go back to this stunning resort in a heartbeat.